Each year, the international AFP Foundation for Philanthropy raises money from AFP members throughout the world to support and advance philanthropy and careers in fundraising. 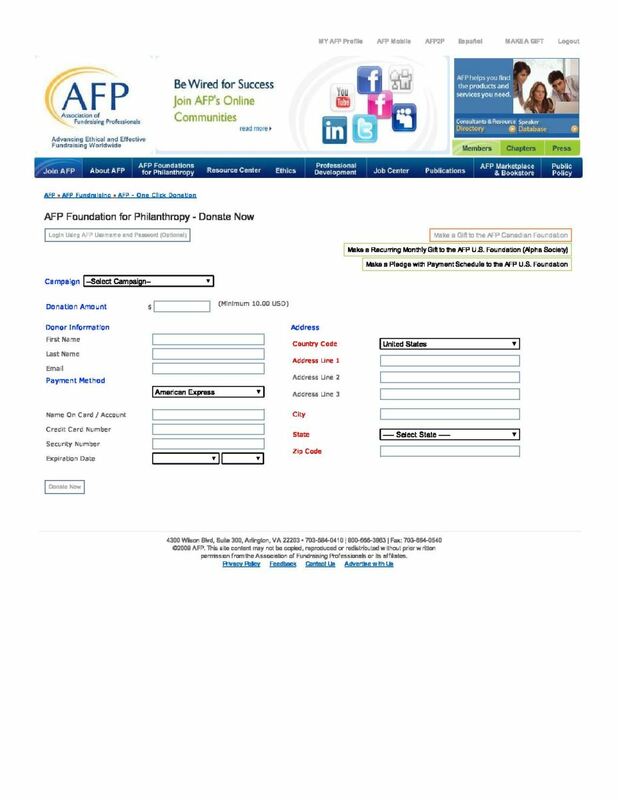 The goal of AFP Foundation is to fund AFP strategic initiatives that advance ethical and effective fundraising. YOUR GIFT MAKES the DIFFERENCE. With your generous gift to AFP Foundation for Philanthropy, you help determine the future growth and development of our profession. You support education and training of professional fundraisers worldwide and increase the public's awareness of philanthropy and understanding of fundraising. We count on your help to make it happen. BE the CAUSE video. If we reach our goal, 25% of contributions from AFP Suncoast members return to the Chapter as a grant. AFP Suncoast uses this funding to provide first-rate educational opportunities and scholarships for our members. Please make your pledge to the BE the CAUSE Campaign today! Online. Make an online secure gift to the 2016 BE the CAUSE Campaign. Give online now. Be sure to designate the Suncoast Chapter. Print and Mail. 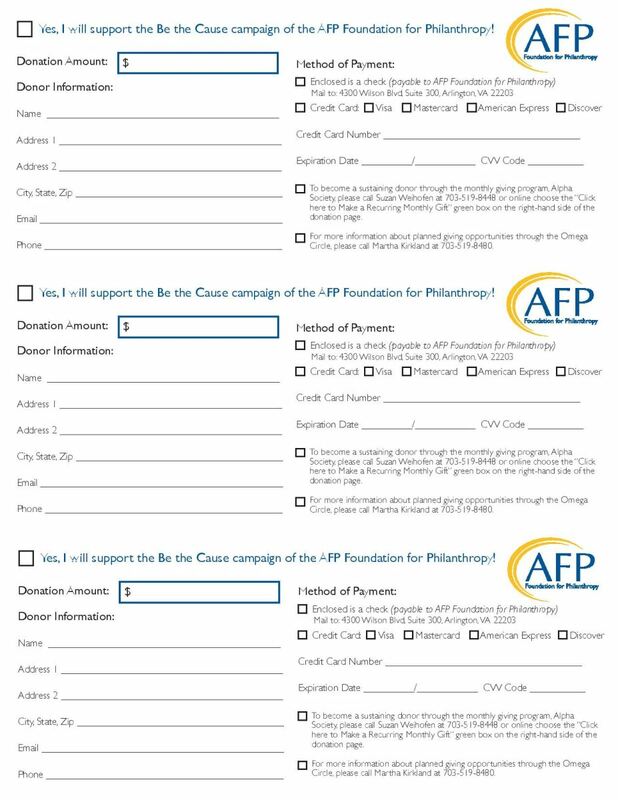 Complete and print an BE the CAUSE Campaign Pledge Form and mail to: AFP Foundation, 4300 Wilson Blvd., Suite 300, Arlington VA 22203-4168, or fax to 703-683-0735. Alpha Society. Join our monthly giving society by submitting the Alpha Society pledge form, including your information for monthly bank drafts or credit card charges. Drafts and charges occur at or around the 20th of each month. Thank You to Our Generous 2016 Donors! A COPY OF THE OFFICIAL REGISTRATION AND FINANCIAL INFORMATION MAY BE OBTAINED FROM THE DIVISION OF CONSUMER SERVICES BY CALLING TOLL-FREE 1.800.435.7352 WITHIN THE STATE. REGISTRATION DOES NOT IMPLY ENDORSEMENT, APPROVAL, OR RECOMMENDATION BY THE STATE. THE SUNCOAST CHAPTER’S REGISTRATION NUMBER IS CH34973.